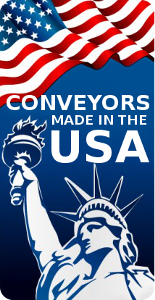 Hytrol Conveyor Accessories are listed in categories, “Conveyor Accessories”, “System Accessories” and “EZ-Logic Components”. 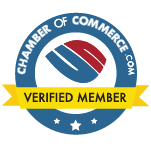 This page lists Hytrol EZ-Logic Components. To see other Hytrol Accessories click Click on an image for more information…. Poly-tier supports provide sturdy support for multi-level conveyor lines. Heights available from 36 in. to 120 in. in 6 in. increments. 1-1/2 in. I.D. (1.9 in. O.D.) crosspipe assembly mounted to 1-3/4 in. x 4 in. x 7 ga. steel support legs. Capacity: 1500 lbs. per crosspipe-4500 lbs. per set of legs. 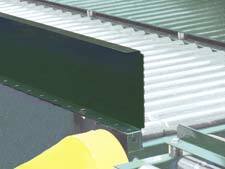 Supplied for overall conveyor widths from 10 in. to 42 in. wide. Knee braces are supplied to provide extra stability to support. 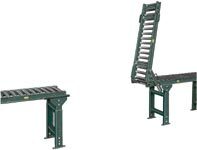 Casters are easily bolted to conveyor floor supports for portable applications. Steel or rubber wheels available in either rigid or swivel type. 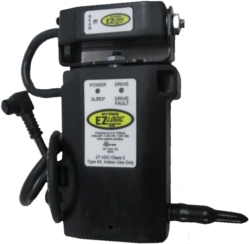 Available with swivel caster and optional brake. 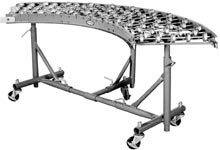 Casters can limit overall capacity of conveyor. Load height – 5-5/8 in. Swivel radius – 3-9/16 in. 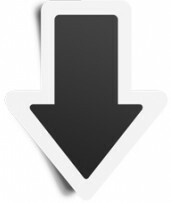 Load height – 7-1/2 in. Swivel radius – 5 in. Portable Castered Curve Support / Tripod Stand / Adjustable Roller Stand allows curved sections of gravity skatewheel or 1-3/8 in. dia. roller curves to be easily moved. Floor locks can be supplied-optional. 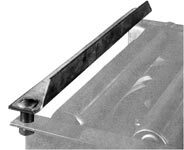 Angle End Stop mounts to end of conveyor for stopping boxes, cartons, etc. Bolts to top flange of conveyor channels. Available in all standard widths. 2 in. x 2 in. x 1/4 in. powder painted steel for 2-1/2 & 2-5/8 in. gravity.